Does breastfeeding cause mothers to lose their figure? Breast size increases during pregnancy and while nursing. Breasts return to their pre-pregnancy state after weaning. Breasts may become less firm after pregnancy but this is a result of pregnancy, not breastfeeding. 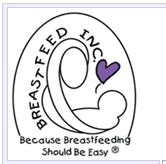 Breastfeeding has an extra advantage to help nursing mothers get back to their non-pregnancy figures. The hormones produced during breastfeeding cause the uterus to contract and return to its pre-pregnancy state. When breastfeeding is initiated immediately after delivery, bleeding is less since the uterus is already beginning to contract and reduce in size. 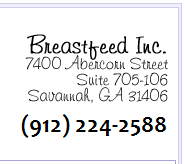 Most breastfeeding mothers lose the weight gained during pregnancy more quickly than non-nursing mothers. It is important that the calories consumed by the breastfeeding mother be in the form of nutrient-rich foods rather than “empty calories” (sweets and fats). Nursing mothers can participate in an exercise program of stretching or aerobics when the doctor gives approval. Poor diet and lack of exercise can adversely affect the figure.